Iranian scientists have reached "nuclear weapons breakout capability," according to a new report based on findings of the U.N. nuclear watchdog agency. In the IAEA report, the agency also says no substantive progress has been made in resolving issues about possible “military dimensions” to Iran’s nuclear program. 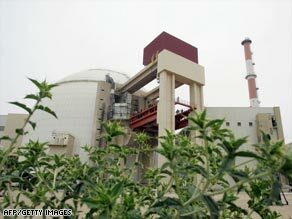 Iran has consistently denied the weapons allegations, calling them “baseless” and “fabricated.” Iran says its nuclear program is necessary to provide civilian energy for the country, but other countries have voiced concern that its true purpose is to produce nuclear weapons. Talking to Iran: What Are Washington’s Options?